The bill is the largest piece of legislation that most of us have ever seen; it will have significant impact on every single U.S. citizen by redefining our nation’s health care system. The encompassing changes will occur at the individual as well as organizational, company and industrial levels. There has not been a more influential legislative act since the GI Bill in 1944. Obamacare has already altered the landscape of innovation and technology development in the United States, and will continue to for many years to come. The reputation of the United States as a pioneer in innovation is clear; it is a global leader in intellectual property applications and grants.2 The country’s ability to develop innovative ideas in response to the changing needs of our nation is also impressive. The assembly line was invented to make cars at a low price for the growing number of workers who needed low-skilled jobs after moving from the rural areas into urban centers. This innovation led to previously unimagined inventions such as the stoplight and the Life Science Industry crash test dummy. These were capitalistic responses that improved the customer experience while also generating profit, proving the efficiency of the free market model. The development of commercial flight was a result of our nation’s involvement in World War I and produced numerous technologies in communication and air traffic control. Nylon was first invented as a silk substitute while the nation parachuted into Europe during the World War II. On Tuesday, Nov. 28, 1939, residents of St. Louis woke to a thick black layer of smog covering their city. The day would be remembered as “Black Tuesday” and would be the catalyst for the development of air quality regulation in the Unites States.3 The regulation would provide the incentive to reduce air pollution while retaining performance and result in the invention of the first catalytic converter in the 1950s. Since the mid-1970s the device has been installed in every vehicle made in the country and has produced significant benefits for the residents of industrial cities by reducing the harmful gas formed by industrial and consumer combustion. However, the American health care system is not soaring. In fact, it is crashing. Other nations have avoided this quagmire through a mix of socialism, political shenanigans and the adaptation of foreign medicinal innovation—all meaningless buzzwords for patients on the operating room gurney under the knife. According to the official U.S. Social Security website, German Chancellor Otto Von Bismarck is recognized as developing the earliest form of employerbased health care in the late 1800s. Germany continues with a complex system of sickness funds known as “Krankenkassen” that are a form of universal health care and continue today resulting in a national population that is healthier and has greater longevity than the United States population. In fact, according to a New England Journal of Medicine report: “In 2006 the United States was 1st in terms of health care spending per capita but ranked 39th for infant mortality, 43rd for adult female mortality, 42nd for adult male mortality, and 36th for life expectancy.”5 The cause may be the American pay-for-service model that is an example of asking for one behavior but rewarding an entirely different behavior, as described by the strategist Steven Kerr in his academic essay On the folly of rewarding A while expecting B.6 Doctors want healthy patients but are financially rewarded for providing treatment, regardless of the patient’s health. America does not have a “health” care system, we have a “disease” care system. In 2010, the American Association of Medical Colleges reported that there were 709,700 physicians in practice and a shortage of 13,700 relative to demand. By 2015 the shortage is expected to be 62,900 doctors, and by 2025 the projected shortage is well above 140,000, or about 19 percent fewer doctors than needed to provide adequate care of the population.7 This makes sense as doctors are seeing more patients but pay additional fees for insurance against increasing malpractice lawsuits. Smart people once dreamed of a lucrative medical career, but today are now lured to the low risk and high salaries found in financial or legal careers. The physician brain-drain is especially disturbing considering the explosion of baby boomers that are about to enter, and over-utilize, our declining health care system. From 1945 to 1965, the rate of childbirth mushroomed, brought on largely by the effects of GIs returning home from World War II. This generation will soon be the largest segment of health care consumers as 86 percent of a person’s health care costs occur during the final years of their life, leaving a strained health care system for the rest of us.8 It is estimated that 60 percent of baby boomers will have at least one chronic condition; over 20 million boomers will be obese and one quarter will have diabetes. According to the Department of Health and Human Services, almost half of the demographic will have arthritis, resulting in eight times more knee replacement surgeries than performed today. The bill will have significant effects on every American by requiring every citizen to have health insurance starting Jan. 1, 2014. This is the “individual mandate” that was upheld by a five-to-four Supreme Court decision and is the foundation that Obamacare rests on. Requiring 30 million healthy people to pay for insurance will spread the total cost among more people, thereby lowering the cost for everyone. In 2014, the tax is $95/per person annually, and increases to $695 in 2016 and continues to increase, eventually capping at 2.5 percent of an individual’s income. Like many parts of Obamacare, the issue initially seems simple and independent but is actually connected to other parts of the bill by a gossamer network of influence. One example of this complexity is the requirement that insurance companies accept all customers regardless of pre-existing conditions. This would be impossible without the individual mandate. Only by requiring all citizens to obtain insurance can insurance companies provide treatment to those most in need. Each piece requires the other. Understanding these complexities is even more difficult because the bill is still a work in progress, increasing the variability of its effects over time. The various tax scales, timelines and requirements for large companies have not been established yet since their values are dependent on the response of the health care industry over the next several years. Regardless of the bill’s postponed provisions, the Patient Protection and Affordable Care Act is the law of the land and would therefore require a three-fifths supermajority vote in Congress to overturn. Certain conservative lawmakers who are opposed to the bill have decided that rather than shutting down the entire government, a better option is to initiate specific and focused changes directly affecting their constituencies. The success of any large project is largely dependent on uncontrollable factors that align in order to create a suitable environment where the project can succeed. The ultimate success of Obamacare will be no different. Malcolm Gladwell notes in his book Outliers that Steve Jobs may have been a hard-working genius, but he was a hard-working genius that was given his first job from neighbor Bill Packard, whose eponymous company turned their local Santa Clara Valley into the heart of the personal computing technology revolution, today known as Silicon Valley. Bill Gates also had the unique opportunity as a high school student to obtain extensive experience programming due to the uncommon investments of his school’s technology development program. According to Gladwell, upon graduating high school, Bill Gates had more programing experience than any other single person in the world. Outstanding success is not just a result of intelligence and hard work, but intelligence, hard work and being in the right environment at the right time. The enormous size of the Patient Protection and Affordable Care Act and the significant changes to the current American health care system create an easy target for the president’s opponents. Only the future will tell if the conditions exist in the current political arena to allow the bill to succeed. The included flexibility of the bill is a sign that without significant industrial response and adjustment of the bill, it will end up as many already see it: a lame duck president’s attempt to establish his legacy without the consideration of the people he claims to represent. The fate of the bill is largely in the hands of the politicians that support the bill, the politicians that constructively expose the weaknesses, and the health care industry’s response. In a recent Rady Business Journal article, Professor Chris Parsons discussed the geographic effects that influence growth of industrial cultures and why companies in different industries, but in the same city, share successes and failures. He noted that one possibility is the development of synergistic relationships between employees in different industries. As one company grows, its employees receive financial rewards and then support other local companies.11This holistic idea of cities as living organisms is not new, but the social and environmental elements required to develop these beneficial relationships may have been hidden under a spaghetti bowl of high speed Internet wires for the last few decades. This concept can be applied to the interconnectedness of San Diego’s life sciences business community. Fortunately, we are lucky. As residents of San Diego, many of us are aware of the benefits of living in “America’s Finest City.” The temperate climate, proximity to beautiful mountain, desert and beach landscapes and the overall laid back Southern California culture are attractive to recruit the talented professionals to drive our health care ecosystem. San Diego’s unique combination of communication, software and life science is the distinct advantage that can develop the area into a global leader in the growing mobile health industry. San Diego based Qualcomm is a global leader in innovation in the communication industry.12 According to the San Diego Economic Development Corporation, technology and communication companies that also call San Diego home are a “Who’s Who” of the industry and include Intuit, Leap Wireless, Kyocera, Motorola Mobility, Cricket Communications, Websense and Viasat. San Diego is also home to over 600 life science companies, and the combined pharmaceutical and health care industries employ 42,000 people.13Obamacare has spurred increased collaboration between the technology and health care sectors. The intersection of communication technology and health care is known as mobile health, or mHealth, and San Diego is perfectly aligned to become the global leader in this growing industry. Broadly defined as the use of technology by consumers and clinicians for the benefit of health, the industry is dependent on the relationships between several industries, including health care, pharmaceutical, communications and software. mHealth requires technology that improves health along four axes simultaneously: convenience is improved, service is improved, the distance between provider and patient is increased, and costs are reduced. The pressure created by the shrinking number of doctors serving a growing population, combined with the numerous changes that Obamacare initiates, will create a need for innovative technology. The growing mHealth industry will provide doctors with the technology that provides the ability to improve our population’s health for a lower price. Residents of America’s Finest City are in a unique environment. If intelligent people work hard to take advantage of the distinctive combination of industries that are already thriving in San Diego, we can create relationships that will result in the technology innovation that the health care market needs. Obamacare will help some and harm others, but regardless of political beliefs it is changing a broken system. The successful firms in this uncharted arena will be those who accurately anticipate and adapt to change in order to position themselves strategically as individual organizations as well as in groups and by industry. 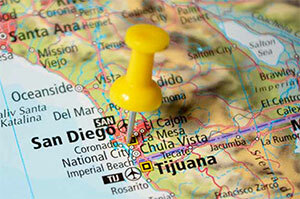 There will be significant business opportunities in the U.S., and San Diego specifically. Matt Archer (Rady MBA, 2014) is the co-founder and Chief Development Officer of the Bionomics Consulting Group and a von Liebig Fellowship award winner. His research has lead to the development of diagnostic tests for HIV and hepatitis and he has worked with numerous San Diego life science companies including Hologic Gen-Probe, the Genomic Institute of the Novartis Foundation, Arena Pharmaceuticals and Vertex Pharmaceuticals.